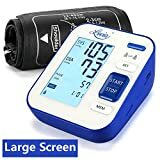 It is so important, when buying health products, that you buy reputable brands, and blood pressure monitors are no different. They are a health investment and choosing the right one that provides accurate results and is easy to use, especially for home care, is crucial. 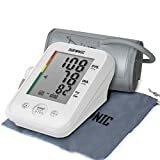 To help make that decision a lot easier, we have put together this Blood Pressure Monitor buying guide with all the information you need to make the right product investment. Manual Blood Pressure Monitors/sphygmomanometers: These traditional monitors included a cuff (the material part that wraps around your arm), a squeeze bulb to manually inflate the cuff, a gage for measuring, and a stethoscope or microphone. 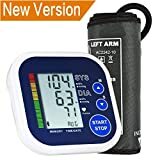 Automatic Wrist Blood Pressure Monitors: These automatic monitors have a cuff that wraps around the wrist, not the arm. The advantage of these are that they are small and lightweight and are suited for less serious conditions when less accurate readings will be sufficient. 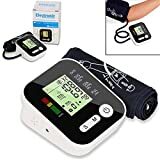 Automatic/Digital Blood Pressure Monitors: Normally battery operated, these convenient, easy to use monitors wrap around the upper arm and inflate and deflate automatically by the push of a button. 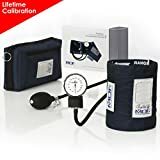 Using microphones for measuring, automatics are the most popular home blood pressure monitors. Reusable Cuffs: Made from nylon, these cuffs are durable and easy to clean. With diameters of 8 to 50cms, they are a popular choice for homes and doctor’s offices. Disposable Cuffs: The same size as reusable cuffs, these are particularly popular in hospitals. Made from vinyl, they are designed for one patient/time use. D-Ring Cuffs: These kinds of cuffs are the easiest to apply without the help of anyone else. Most home monitoring should include this kind of cuff. Specialized cuffs: These cuffs are normally used for stress testing and would only be found on certain doctor’s or hospital blood pressure monitors. 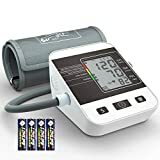 Accuracy: The most important cause of concern for reviewers of blood pressure monitors is accuracy, and good quality monitor brands that give accurate results are well rated. Usage: Monitors that are simple to operate - a matter of just putting on the cuff and pushing a button - are valued highly by their owners. And displays that are easier to read are a big talking point for reviewers and result in a lot more buy satisfaction. 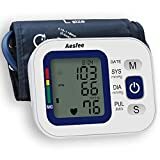 Features: USB slots for downloading to PCs, functions that support more than one user, large displays that light up when the reading is finished, and included carrying cases are all things that contribute to a higher rating for blood pressure monitors. Battery: For reviewers who travel a lot, a monitor’s battery life is a concern, and those that last longer are rated higher. A good quality monitor should last about three hours and if this is a concern for you, comparing product specs of top brands can ensure your monitor’s battery life suites your needs. 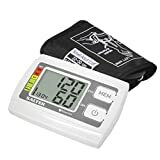 When choosing a blood pressure monitor, check the cuff size to make sure it will fit correctly. A good fit will mean accurate readings. For the most accurate readings, if your health requires it, opt for an arm cuff over a wrist cuff. Display is an important consideration. For better viewing, opt for a device with an extra large display, illuminated buttons, and/or voice readings. Monitors than come with carrying cases and battery power will make it easier to travel with them. 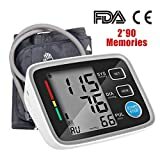 Some additional features and functions to look out for on an automatic blood pressure monitor include: an alert for irregular heart beats; internal memory, recording up to three months worth of readings; an averaging function, which gives an average reading over a period of time; a multiple user account ability that will allow more than one person to log readings on one machine; and monitors with the ability to upload results to your doctor, making health tracking easier. For the ultimate in new technology, monitors that transmit data directly to your smartphone through an app are a top of the line choice. Microlife: Microlife is one of the world leaders in the development and manufacturing of medical diagnostic equipment for home monitoring and institutional use. Blood pressure monitors, digital thermometers, asthma monitors, and flexible heating are Microlife's core business. 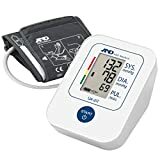 LifeSource: A&D Medical/LifeSource manufactures blood pressure monitors for home use. 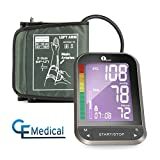 Models include automatic and manual monitors, upper arm and wrist models, and stethoscopes. 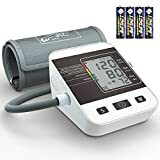 Ozeri: Ozeri is a specialist manufacturer of digital lifestyle products for the modern home that like luxury kitchen and health gadgets - including top rated blood pressure monitors. OMRON: OMRON's healthcare division provides both home-use and professional medical equipment. 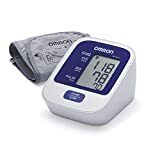 Based on the idea that good health begins at home, OMRON's home-use products, such as blood pressure monitors and pedometers, encourage individuals to take a proactive role in managing their own health.